Neal's Yard Remedies have been selling organic skincare for over 35 years and now they are bringing them to your home with NYR Organic. Book a NYR Organic party / skincare workshop and enjoy trying the fantastic high quality products, the host receives amazing free gifts and lots of discounted shopping and a Mini Facial too. This opportunity is also ideal for therapists to offer their existing customers the chance to buy highest quality organic skincare, and increase their earnings too! 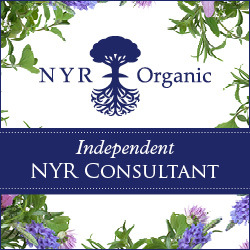 Neal's Yard Remedies Organic consultants receive a free website, so their customers can make repeat purchases through their virtual shop too! See my website (details above) as an example. Join me as a consultant and get a great starter kit and training and support! Don't miss out on a really amazing opportunity. Contact me if you would like me to attend your event so everyone feels really pampered and has a chance to try our award winning and hand made in England natural organic skincare.